I love some Braxton Family Values. Watching the dynamics of the Braxton’s sisters play out on “reality” television is quite amusing. But what I like watching most on the show is the ever changing wigs/weaves/hairstyles that the five Braxton sisters rotate through. They have come quite a ways from their first two seasons and picked up some quick tips on picking out the proper lacefronts to fit their face, but there’s still some…ahem…questionable choices in the bunch. We’re right in the middle of season 3 so let’s take a look at some the hair choices from the last two episodes, Episode 4 “Papa Knows Best” and Episode 5 “Traci Bustin Out”. 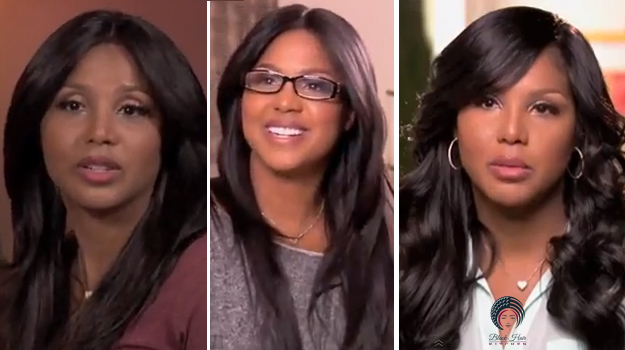 Toni…Toni Braxton, the eldest and most famous sister of the bunch. I’m so tickled that her sisters are insistent on calling her Toni BRAXTON, like the same way a regular fan would. 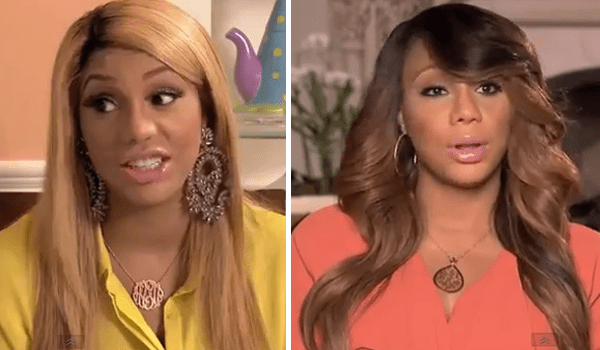 Seems like Toni caught on to her missteps from the previous season and is keeping it very, very simple with her wig choices. Natural color, middle part frames her face well. Not sure if it is the same wig in all three pics, but she isn’t deviating too far with with her choices. It works. I still like her with that short hair, but I’m not mad it this either. 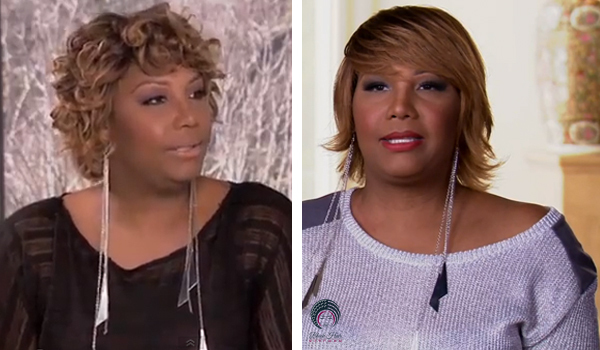 Traci Braxton is coming into her own this season. The second oldest sister who never really got a chance at the musical fame that her sister Toni or the other three saw (as The Braxtons), instead raising her family in Maryland, where the family is originally from. Traci is most definitely keeping it simple but adding some flavor with blonde hair with brown roots. It works well and there isn’t much more to say about that. Towanda, it seems clear that the three oldest are sticking to what they know looks good and keeping the experiments to a minimum when it comes to their hair. I’m just sooooo happy Towanda left the pig tail, Pocahontas look behind, cause it was not working with her facial structure. 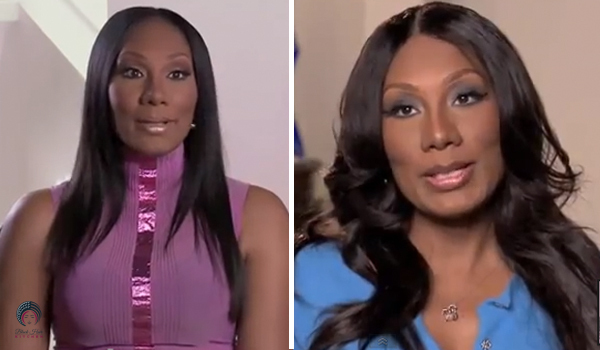 Even though Towanda’s looks have been consistently the same this season, I enjoy her looks the most. She looks refined and mature, which fits well with her storyline on the show. Trina…oh Trina. She is just a very special person. This wig or weave, whatever it is, would be just fine if she was a round the way girl with limited funds doing the best that she can, but when you’re on national tv with a hit TV show…the expectations are ever slightly a bit higher, my dear. 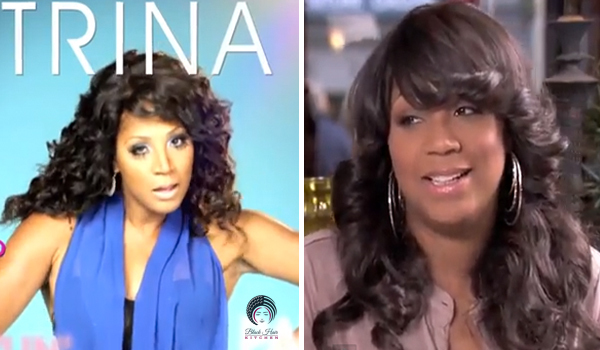 It’s TOO MUCH hair for Trina’s face, and it looks fake and over done. 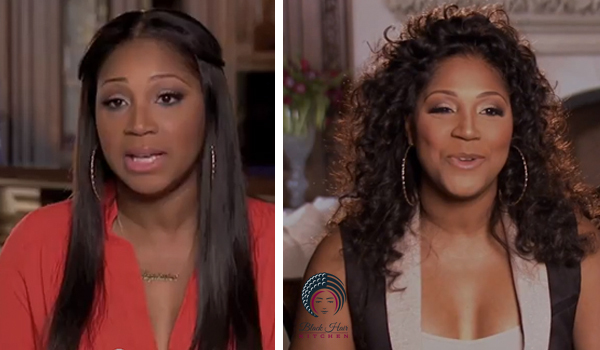 Every time they show that intro shot of her, I cringe, I can tell right where they closed the hair up at and….Trina, you make too much money for that! Trina has pulled off some successful looks and it’s great to see her with the hair pulled back from her face, while still giving her that party girl flair. She has a petite face so all that extra hair is rather unnecessary. 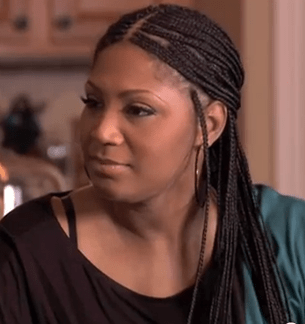 But these braids…yeah girl, I’m not with it. That dangling one ain’t doing it for me. Can’t rock with that at all. 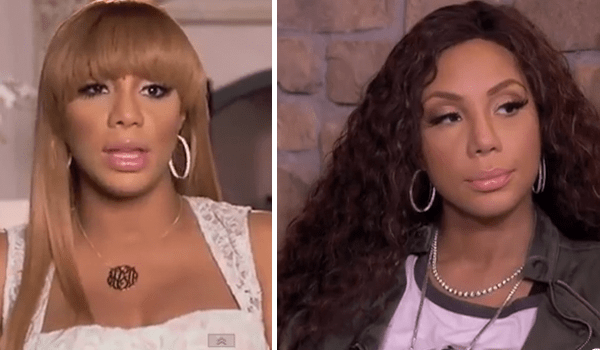 The full bang is far too much for Tamar’s face, and makes her look cartoonish. This curly lace wig to the right is giving me ‘lightskin friend looks like Michael Jackson’ tease, and she can just do so much better than that. That’s it for now! What are some of your fav looks from the show? Is the hair a yay or nay for you this season? Let us know!